STEVE BRIMMER | Organization innovation for churches. Too often church leaders lack competence – or even interest – in the basics of organizational life. Unfortunately, they miss a great opportunity for their church to improve as a life-giving force to the families they serve. I want to help you gain an understanding of the five key organizational components. This is a key to unlock energy in your church you didn’t know existed. Image (minus the labels) believed to be in the public domain. I had an epiphany recently. For some time I have struggled to find a clear, simple way to visually explain my organizational model. As often happens, it suddenly came to me when my mind was on something else. An organization is like an atom. It is made up of certain indispensible elements that determine its identity. It consists of a multi-dimensional nucleus (the core) that everything else revolves around. Prime. Key. Chief. Principal. Crucial. Before scientists were equipped to look at microscopic atoms, ancient Greeks invented the idea and chose the name. Atom means ‘uncuttable’. They were on a search for an irreducible element that makes up our world. In the early 1900’s brilliant minds discovered that atoms are not ‘uncuttable’. They are actually a conglomerate of sub-atomic particles. My organizational model is a conglomerate of five key components. One of the five, which I call the core, consists of four critical elements. Like all models, this is a simplified way to show how the essential pieces of an organization fit together to make up the whole. • Mission: why do we exist? • Vision: what unites our efforts? • Values: what motivates our behaviors? • Strategy: how will we succeed? Key component 2. The framework – roles & responsibilities, functions, and governance. Key component 3. The systems – repeatable processes for getting things done. Key component 4. The ministry team – the people that make things happen and how they work together to turn dreams into reality. Key component 5. The BTRN (Big-Thing-Right-Now) – a single unifying goal to sustain unity, health and growth. Like an atom, if an organizational element is replaced or removed, the identity changes or can even break down. Most churches can improve organizationally. When they do they will gain coherence and cohesiveness as an organization. Coherence means to make sense of it all, to eliminate the chaos and confusion. Cohesiveness means to make everything work together, to have alignment and cooperation, and to inspire your people to all row in the same direction. Question: How well do you think most church leaders understand the basics of organizational life? Join the discussion. You can add a comment below or click here if you received this by email. What is the one thing your ministry team should be working on together right now? Want to move your church forward, energize your ministry leaders, and provide a catalyst for health and growth? Find the single most important church-wide priority and focus your leadership team on a specific goal. A short-term unifying goal is the final piece of our 5 key organizational components. Critical question: How do we sustain health and growth? Please don’t miss the importance of this organizational component. Over time, organizations tend to settle into a numb routine. In churches, ministries are performed habitually rather than with the zeal they once had. Things appear stable but they feel stale. Leaders and participants alike are just going through the motions. We become vulnerable to mission drift (gradually getting off track). Indifference is tolerated. Leaders stop communicating honestly with each other about their concerns. What is missing is a short-term unifying goal that sustains health and growth – a BTRN – Big Thing Right Now. An effective BTRN involves the entire leadership team in attaining a much-needed improvement that typically is accomplished in a year or less. A BTRN is that ONE thing. A singular focus. Not the top ten, five, or even three priorities. I unabashedly admit that the concept of a BTRN is built on the work of others. • BTRN’s create momentum – overcome stagnation or the “we’ve arrived” syndrome. • BTRN’s fuel team spirit – refocus people on achieving something great to honor God – together! • BTRN’s restore the freshness. A good BTRN is essential to achieving organizational cohesiveness. Even your best people can get focused on their particular area(s) of ministry and unintentionally lose sight of the bigger picture or worse, become territorial. A good BTRN will keep your ministry team working together and your church moving forward. It’s impossible to have a healthy church without having a healthy ministry team, and that is as much organizational as it is spiritual. Just calling your key people a team does not make them a team. My friend Steve Raimo @4TheHouse, made a great comment about ministry teams on one of my previous posts. This post is about ministry teams. Who are the people that make things happen? How do we work together as a team? The team is one of 5 key organizational components. You can have the other four organizational components (the core, the framework, good systems, and a unifying goal) in place but accomplish absolutely nothing without the right people to make things happen. Our people represent our organizational capabilities to fulfill our God-given purpose. ‘Ministry’ is serving others in the name of Jesus. A ‘team’ is more than a work group. Teams pool their skills and efforts to achieve a common purpose. Team ministry implies shared authority and mutual responsibility for spiritual and organizational oversight. Ministry teams consist of identifiable positions, each of which has a role(s) and responsibilities. Paid staff, lay leaders, and/or volunteer workers can fill positions. The term “loyal yokefellow” is used by the Apostle Paul to describe those who labored alongside him in ministry. He honored both named and unnamed “fellow workers” who “contended at [his] side in the cause of the gospel” (Phil 4:3). The idea is they were pulling together as equals in a set direction. Ministry is work but it is shared work. Jesus also uses the metaphor of a yoke. He invites us to be yoked with him. Contrary to the image of slavery this might have provoked for people in his day, Jesus assures us that he is “gentle and humble in heart and you will find rest for your souls. For my yoke is easy and my burden is light” (Matt. 11: 29-10). What a great concept for ministry teams! 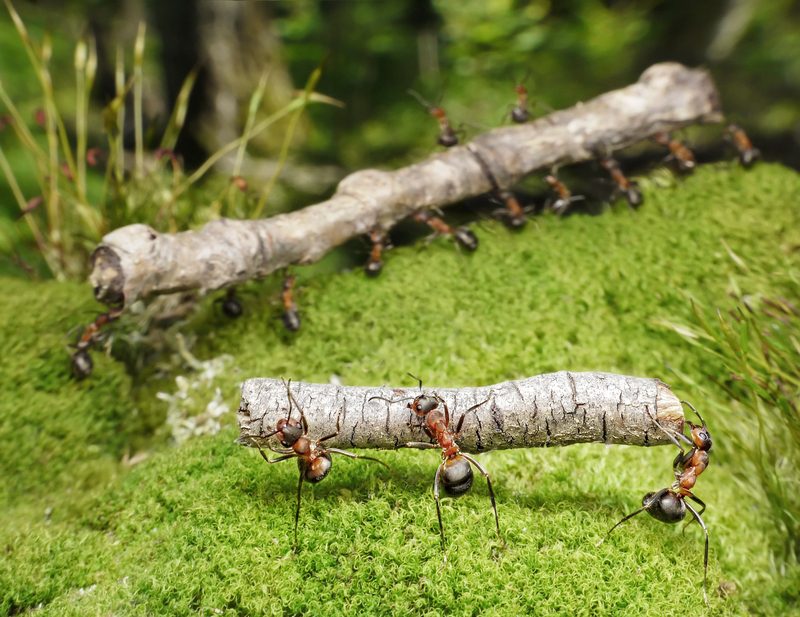 Like a team of horses pulling a carriage, we each have roles and responsibilities within a set framework that is important to the other team members as well as essential to executing our common mission. Baseball legend Pete Rose is credited with saying, “Baseball is a team game, but nine men who meet their individual goals make a nice team” (Keidel, 1984). Likewise, a great ministry team will encourage individual performance but also make sure everyone is playing the same game and is committed to team results not personal glory. It’s amazing to be part of a team that is both achieving results and a pleasure to work with. Question: have you ever been part of a great ministry team? Dreams without processes are unlikely to succeed. Many church leaders have a great vision but they fail in the execution of their vision because their church lacks healthy and mature systems to accomplish what they believe God wants them to do. The word systems is one of the current buzzwords in the church world, and for good reason. We are awakening to the necessity and power of well-designed and well-executed systems. “Your systems are perfectly designed to get the results you are getting” – Edward Deming. Unfortunately, his oft-quoted statement above is usually not intended as a compliment. What are our processes for getting things done? Systems are repeatable processes to accomplish specific objectives. They consist of multiple elements that are necessary for the smooth operation of any organization. • and can be seen as a part of a larger system. Systems directly affect the attitudes and behaviors of those you lead as well as the outcomes of your efforts. According to Tony Morgan, healthy church systems produce the following benefits. 1. Healthy church systems empower your people to do ministry without always having to get permission. 2. Healthy church systems mobilize many people rather than leaning on a select handful of talented individuals. 3. Healthy church systems simplify the path, making it easier for people to get things done. Established processes and procedures are not optional; they are a must. Without adequate processes, constant frustration will result because everything will require the attention of the leader. People will keep coming to the leader for every decision since established procedures and empowering processes are missing. Most pastors are gifted communicators that can inspire people to action. They can create momentum with their words. However, inspiration must be supported by organizational infrastructure to enable and facilitate action. Momentum is not sustainable without healthy systems in place. Well-designed systems are some of the greatest gifts you can give to your ministry team. Question: have you experienced the difference a good system can make in getting the work done? Ministry workers need to know which decisions they are free to make and which will be made for them. When there is a lack of clarity about this, people act on their own assumptions. Result: mistrust, confusion, and conflict. In this post we focus on governance. This question drives the governance aspect of the church. Governance includes any kind of supervision or oversight. It involves accountability for ministry performance and financial integrity. Church staff can be part of this. It might also consist of a Board, Elders, Deacons, committees, or other leadership team(s). Start with a simple organization chart to show a hierarchy of relationships. Your org chart should clarify who supervises whom. As a side note – in the past, org charts were king when it came to understanding an organization. Today they are viewed more as a minor piece of the whole. Org charts can provide a visual model for how things work but they cannot capture the essence of ministry. • your best workers are frustrated over the difficulty of getting answers. Decision-making power rests ultimately with the top-tier of leadership but can be delegated downward to speed up the process. Top-level leaders should create guidelines, policies, and parameters that allow staff and ministry workers to make the decisions directly related to their responsibilities. Good organizational governance means better decision-making. Ever face the embarrassment of something important slipping through the cracks? Are there times when your work environment feels chaotic? Is there confusion about how decisions are made or to whom to go to for answers? Those are symptoms of a problem with your organizational framework. 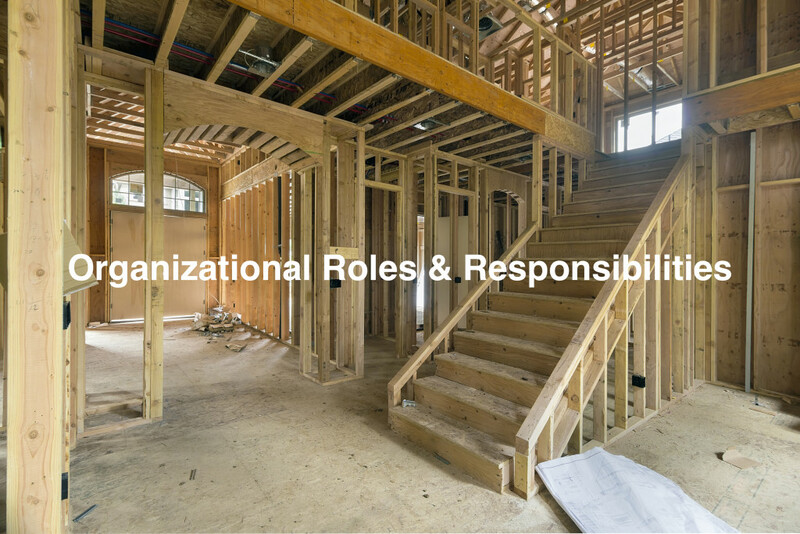 In this post we will focus on organizational roles and responsibilities. At first glance this seems pretty straightforward but lack of clarity here can cause a lot of trouble. Especially in churches that use a team approach to ministry. Typically, each team member has some area(s) of specialization for which they are responsible. In addition, there are expectations that all team members will share some responsibilities – such as caring for the needs of the people. It’s fairly easy to hold staff members accountable for the tasks related to their specific areas of responsibility. Where the ball more frequently gets dropped is in those areas of shared responsibilities when it’s easy for tired team members to hope or assume someone else will get it done. Let’s be blunt. People get overwhelmed with their workload and tend to focus only on what is specifically required of them. The goal is to enhance team performance by coordinating the efforts of many people. You need to do three things. 1. Create job descriptions – this may sound old school but there will always be value in putting expectations in writing. Good job descriptions are designed to encourage coordination and cooperation. They define roles, responsibilities, and relationships that enable diverse ministry areas to mesh rather than compete. 2. Assign a Coordinator – you need a single “go-to” person that is ultimately responsible to make things happen. Specific responsibilities need to be assigned to specific team members as needs arise. Otherwise they risk ending up like a high-fly ball in a baseball game that drops between the shortstop, second baseman, and center fielder because everyone expected someone else to catch it. 3. Develop a repeatable plan – make a checklist of the basic elements of the activity that can be tailored for each specific occasion. We will cover this is more detail when we talk about organizational systems, which are repeatable processes. A sound organizational framework greatly reduces chaos, confusion, and frustration for church leaders and workers. You don’t need a ton of ministries to be an effective church. However, the ministries you offer should target the most important needs of your community and be managed with excellence. Let’s start with functions. Here’s the question that helps you clarify your organizational functions. There is no shortage of ministries you could offer. I can tell you from personal experience that you won’t be in church leadership for long until you get buried under all the ministry ideas people can pile onto you. The way you sort through what you could do to decide what you should do is filter ministry opportunities through your organizational core (mission, vision, values, and strategy). Decisions about which ministries you choose to offer are not the central issue here. What is central to this question is how you define your ministry areas. Organizational functions are about groupings of people and differentiation of activities. Organizational functions are determined by 1) the best way to meet the needs of your people and 2) the best way to manage things. It could be groupings by age (such as children’s or youth ministry). Or, the best divisions may be according to interest groups (such as men’s, women’s, or single’s ministries). •	are consistent with the overall purposes of the church. Try to keep ministry functions as simple, intuitive, and natural as possible. •	are a mismatch with your purpose. •	are disproportionate with your current size. •	strain your ability to maintain them. Managing organizational functions is directly related to roles and responsibilities, which we will address is the next post. Ministries are organizational functions, distinct but part of the whole church. The organizational framework of your church can either enhance or destroy morale. Designed well, it will build people up. Designed poorly, it will tear people down. In recent previous posts I talked about the four questions that help you design your organizational core. Now we move on to the framework, another of the 5 key organizational components. Think of it as designing a building. Buildings consist of a foundation with a structure that sits atop it. The organizational core (mission, vision, values, and strategy) is the foundation on which everything rests and the framework is the actual structure. What exactly is an organizational framework? The framework is designed to facilitate the functions that will take place. For example, a typical house has a kitchen, bedrooms, bathrooms, and other areas where specific activities occur. Imagine the chaos and discomfort of having all family activities randomly happening in one large open space. That’s how a church without defined ministry functions, roles, and responsibilities feels to its members. Ideally, you want just enough separation of activities to help manage and make sense of them all. 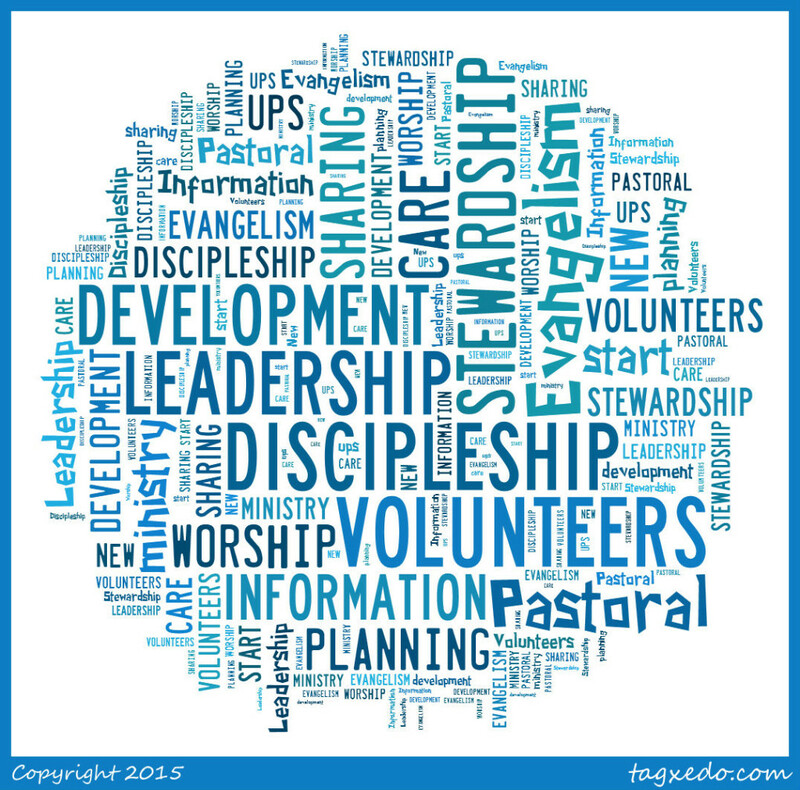 Can you answer this: What are our ministry functions, roles, and responsibilities? Church leaders need to realize that the people who make ministry happen in your church want clarity regarding these issues. In upcoming posts we will break it down into three important questions that drive the design of your ministry framework. 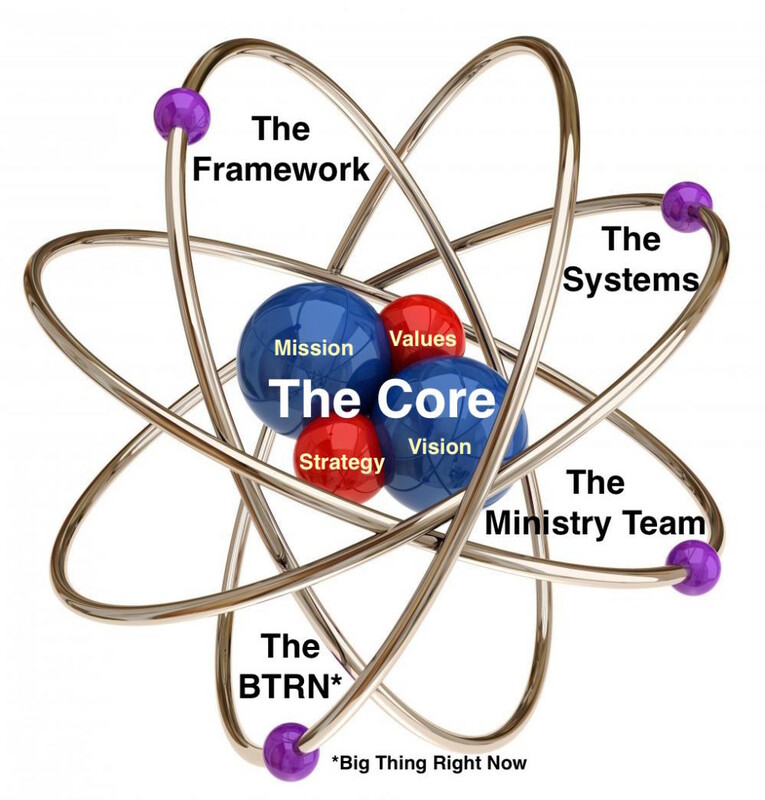 Unlike the core, the framework needs to have some degree of adaptability as ministry functions adjust to evolving needs. You may already have an organizational framework but you know it’s time for a makeover. Over time frameworks get outdated. As in a building, walls get moved and spaces change in size and purpose. You will want to focus on the above questions and make sure your answers coordinate well with your organizational core. For the sake of your ministry team do your best to understand these concepts and answer the questions. For your own sake, please know that this is how you facilitate the accomplishment of God-sized ambitions. Strategy is supremely important in every organization, including churches. You need a strategic approach to ministry that defines how you will achieve success. I serve as the Executive Pastor at Coastline Community Church, a fast growing church on the east coast of Florida. Coastline’s strategic approach involves the following four choices that set the church up for success in our beach culture. • We are staff-led. The people who are involved in day-to-day hands-on ministry make the ministry decisions. • We are vision-driven. We have a four-part vision statement that gives direction to all we do in ministry. • We are community focused. Community is our middle name because we are outwardly focused. • We are non-denominational. Given the culture of this community, it just works well here. There are four elements to a healthy organizational core: mission, vision, values, and strategy. When all four pieces of the core present a united front, it is compelling to those who are the best candidates for membership in your church. I can tell you what your people want. They want clarity on the key points of your church’s purpose. They want simple and inspiring answers to four questions. There is no single right strategy. The best strategy is the one that aligns well with the other parts of the church’s organizational core. Your strategy will significantly impact your connection with your community. It includes the church name, your target audiences, and worship style(s). Is your strategic approach more classic, contemporary, or cutting edge? What is your primary ministry focus? What is your music style and volume level? What image does your facilities convey? What is considered appropriate attire? When you have effectively designed your organizational core, people will understand and embrace what your church is about. They will become your biggest advocates. That’s the power of clarity. Question: Does your church have a clear strategic approach to ministry? Appreciation for the power of organizational values is growing in churches. This is good. Core values are primary to organizational effectiveness because they are intrinsic to how we view life and make choices. I like looking out for others. And I believe God expects that of me. It’s a strength that plays well with a servant leadership style. As a side effect, I’m not good at asking for something for myself. It’s hard for me to ask others to meet my needs. That’s neither good nor bad. It’s just who I am. And always will be. We navigate life better when we are aware of our core values. You identify your organizational values by answering the following question. We don’t create organizational values; we discover them. They already exist in the hearts of the leaders. We may not think about them because they are so natural to us we take them for granted. But they are deep in our soul to the point they influence our thinking and motivate our actions. Unspoken values are always present. They may be silent but others who share space with us sense them in our behaviors. That’s why every church is unique. The people who make up the church body bring a blend of values that creates a distinctive culture. In folksy terms, culture is “how we do things around here” and is directly attributable to core values. When you can articulate the collective core values of your church you have a great perspective from which to view your God-given mission in your community. It is also a great gift to offer new people who want to quickly understand what your church is all about. If you already have a list of core values, here’s how you make them powerful. Values need to be associated with corresponding behaviors that you want to characterize your church. These behaviors are called “norms”. Many churches have come up with a list of values they post on the wall or on their website. That’s ok but not much is likely to happen until expected behaviors are attached to each of the values. For example, if you value generosity your norm is something like, “we cannot out give God”. It’s values and norms together that deeply influence organizational effectiveness. When am I at my best? What brings out the best in me? When do people most want to follow my leadership? What are the irresistible ideas in my head that influence my decisions? I’d like to push you to think beyond biblical phrases. They are theological values that are normally covered in your statement of faith. You have already defined these. Now move to philosophical values, those deep internal motivations that shape the way you think and define the person you are. Question: Is your church clear about what motivates organizational behaviors?